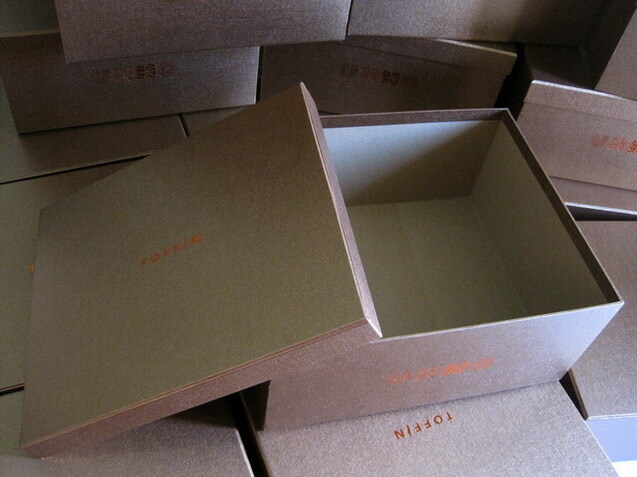 Brands' name on the boxes proves really prolific in customer retention. 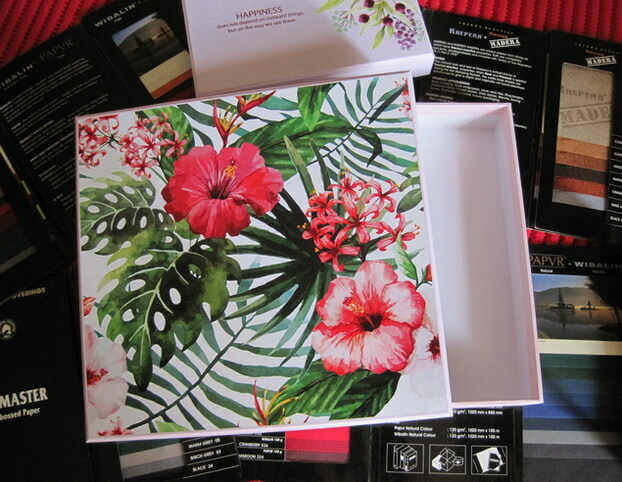 Enticing artwork can grab the attention of your potential buyers. 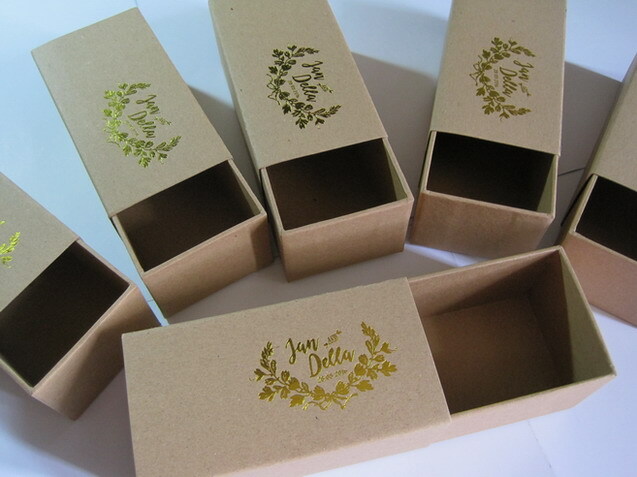 come up with inspirational ideas for presenting their products. 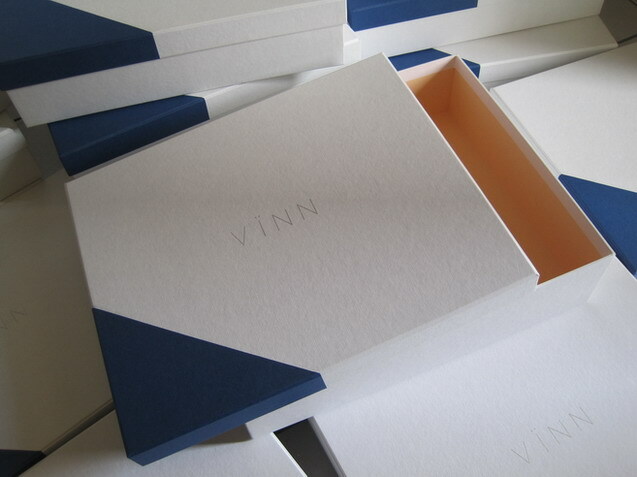 in getting your products noticed. 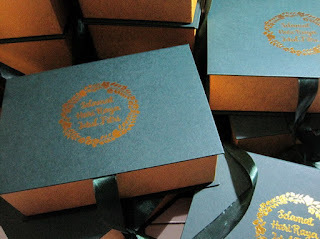 Dear customers, thank you for trusting our products. 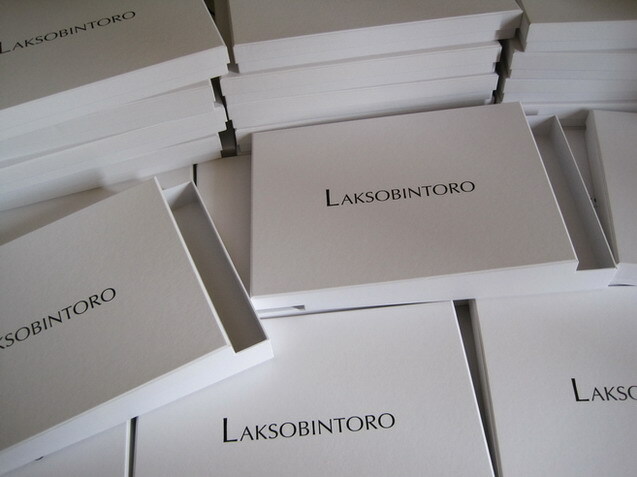 We are happy to be part of your lifestyle and business. that answers best to your need. 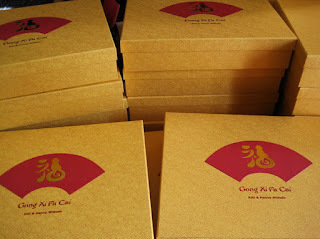 in homemade cakes - so refreshing colors !! 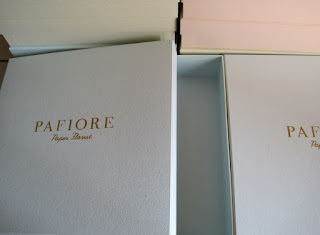 As always; young girls always like pastel colors like these. 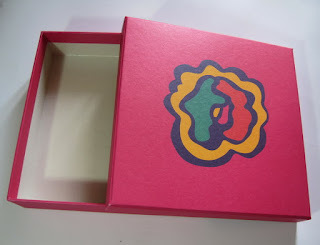 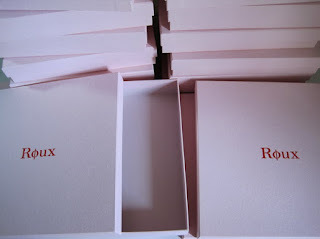 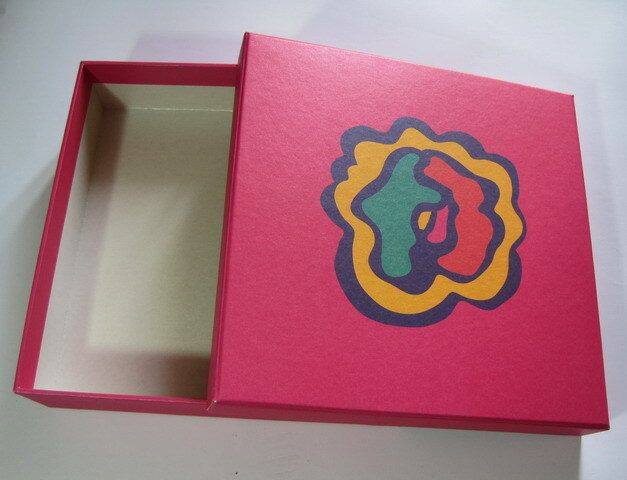 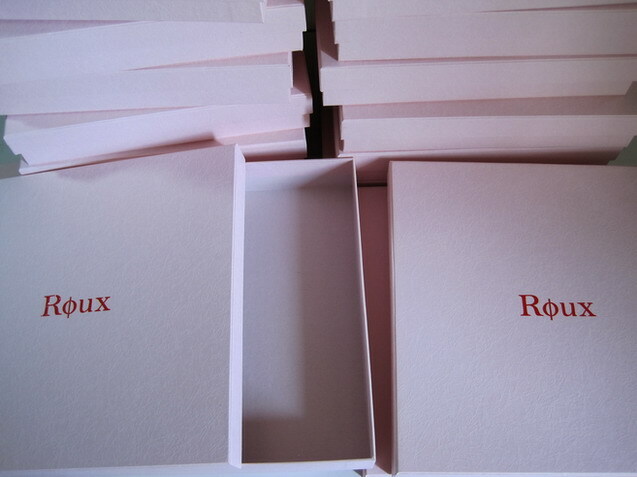 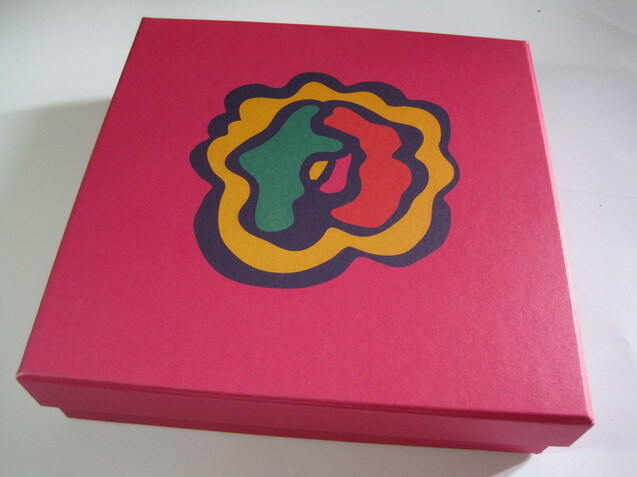 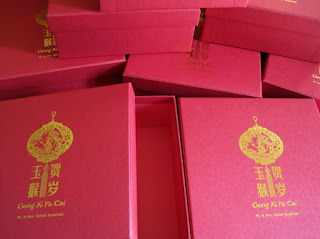 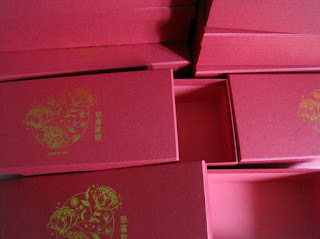 The Pink box is truly captivating and memorable for anyone who receives it. which is customized printed with color and patterns from customer. 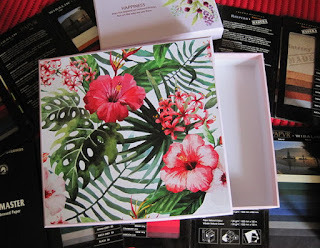 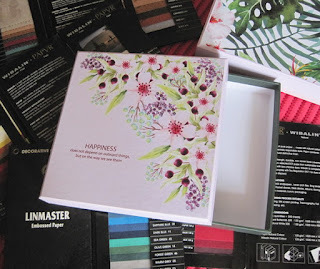 This box is a packaging for a charming floral scarf. 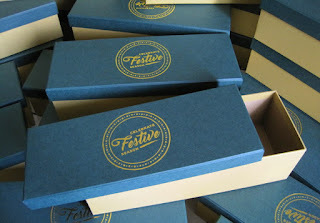 What's more fun than receiving attention from someone during the holidays? 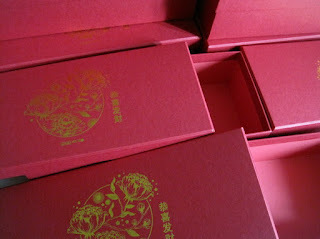 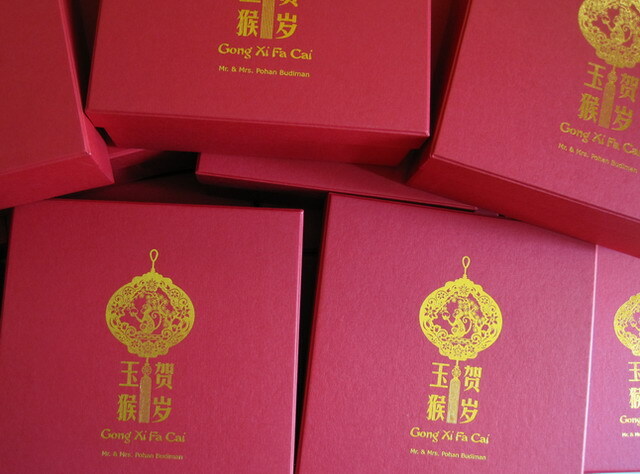 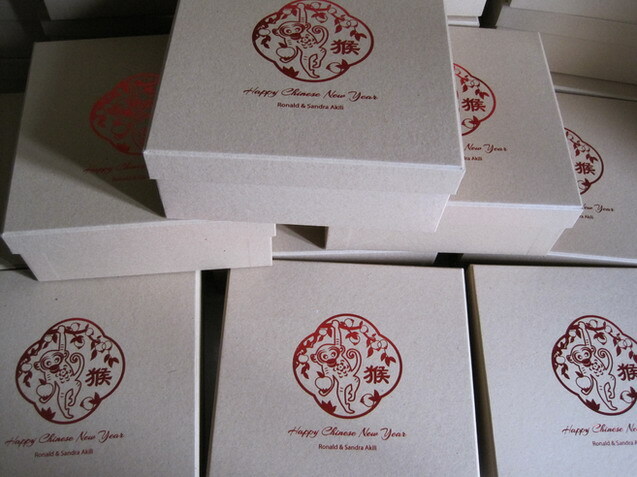 The answer surely received a beautiful gift packed in charming box. which increasingly feels good ! 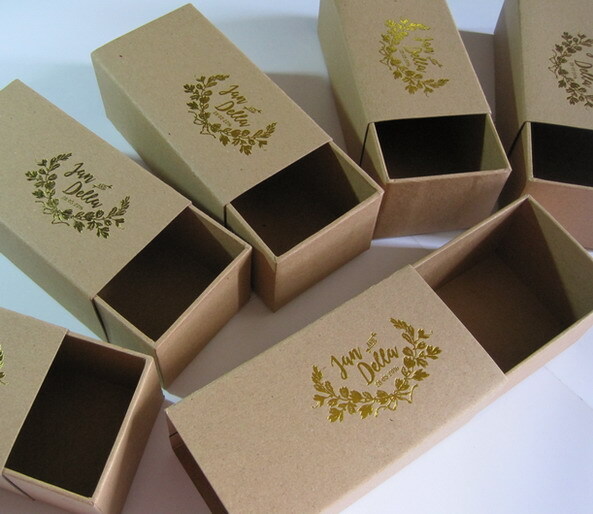 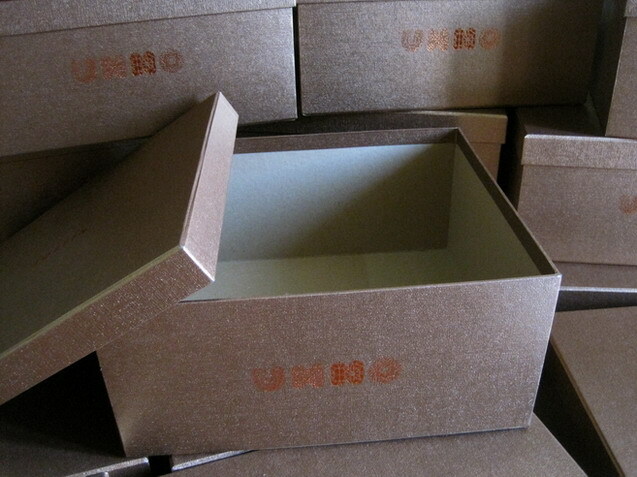 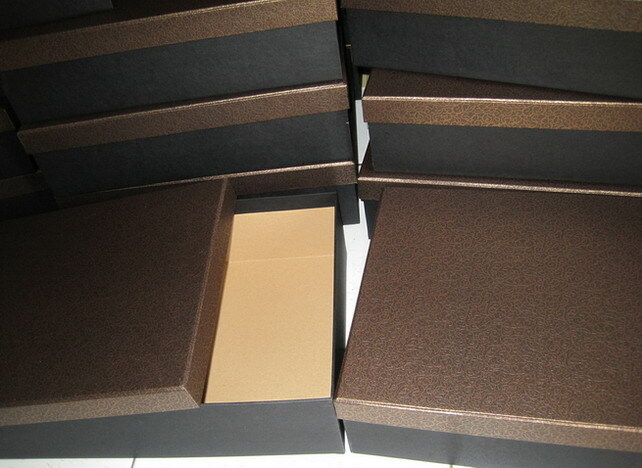 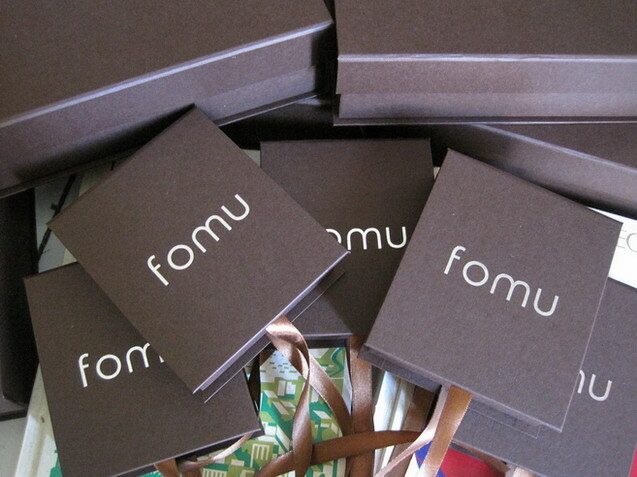 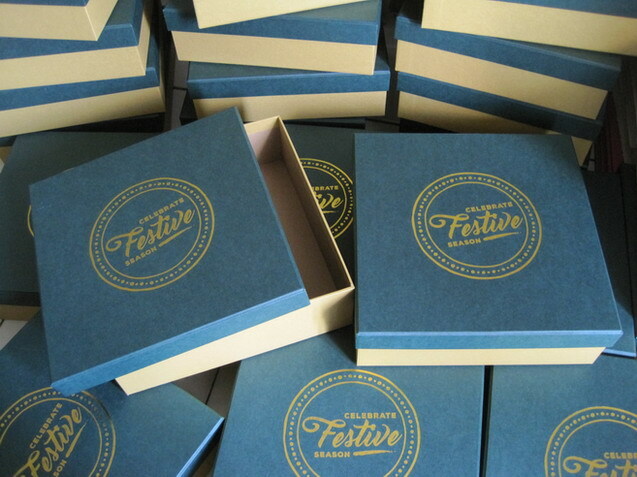 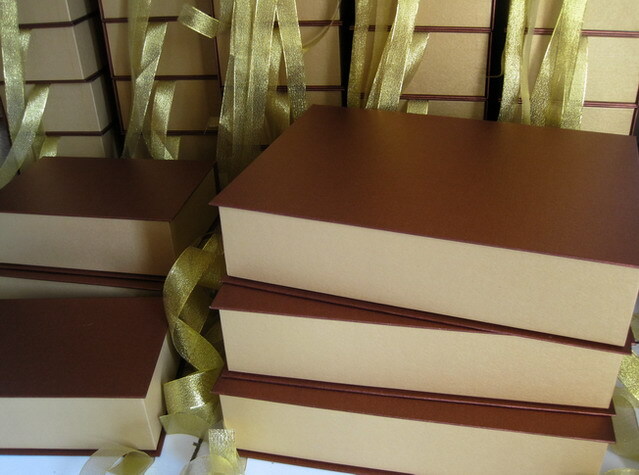 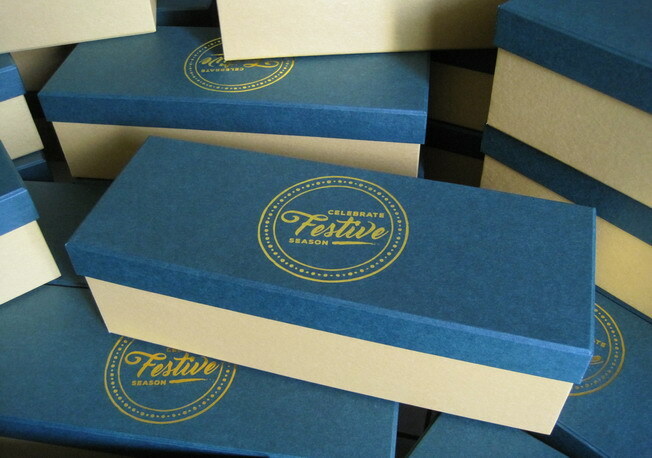 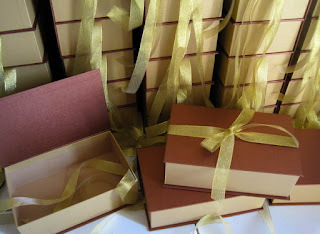 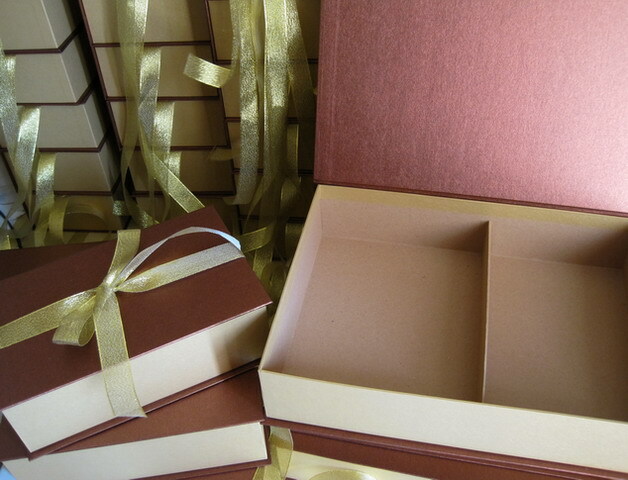 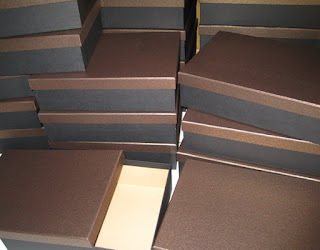 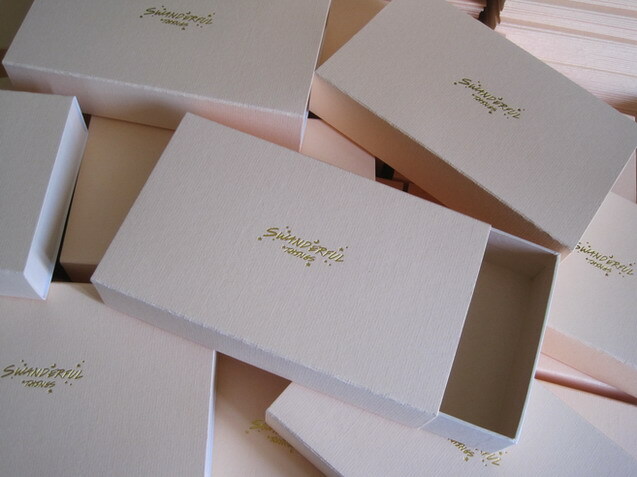 These hampers boxes coating with selected Green and Gold paper. 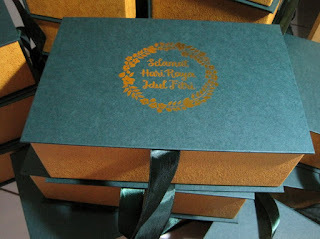 The Idul Fitri wishes were hotprinted with gold foil add for its elegance. 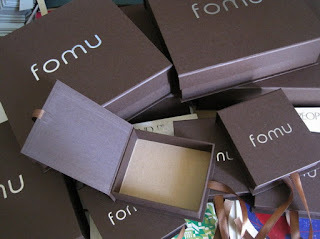 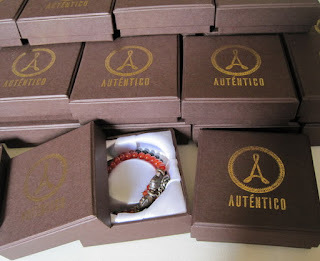 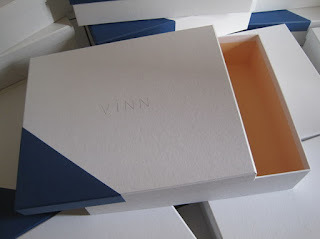 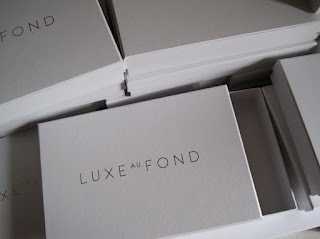 The dark copper foil used for hotprinted logo on the lid and side of the box. 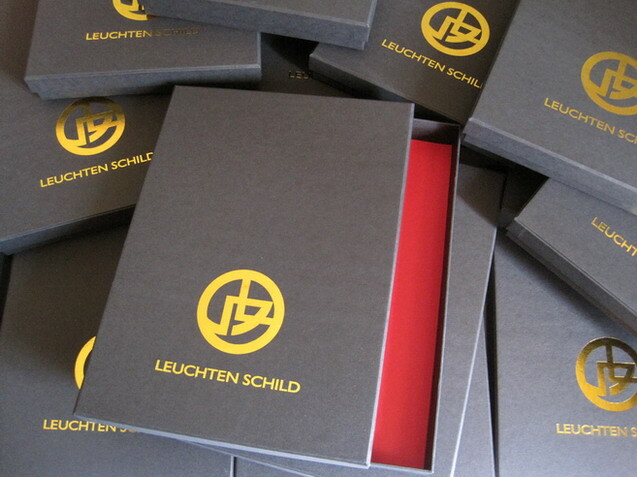 Black boxes with silver logo on the lid are very special. 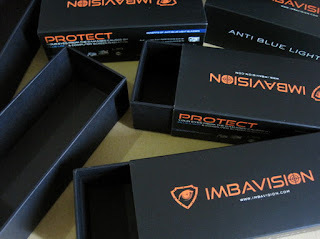 launching their new products at one of the big mall in Jakarta. packed in this black box. for inner and outer layer, the base covered with red linen paper. A little bit different, but it turned out nice and unusual. 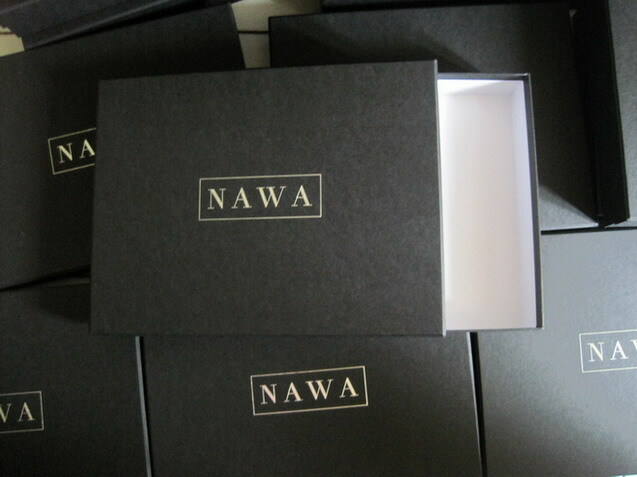 its own fresh uniqueness ! 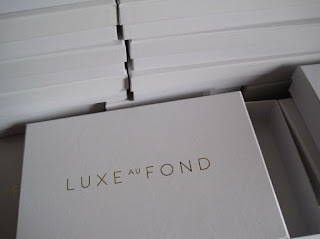 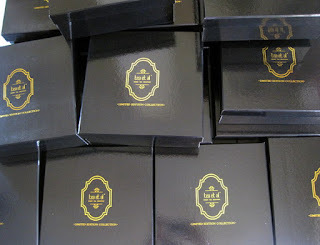 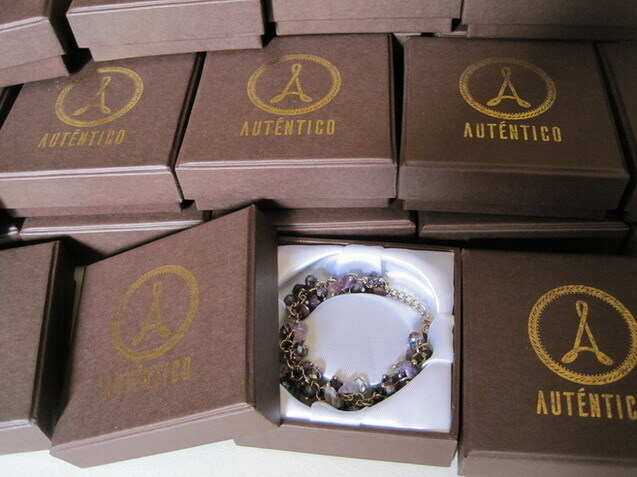 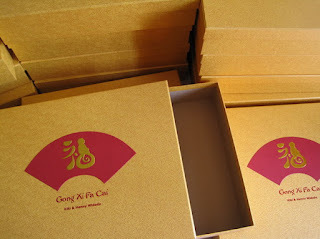 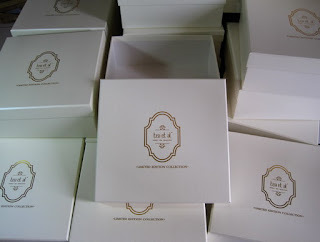 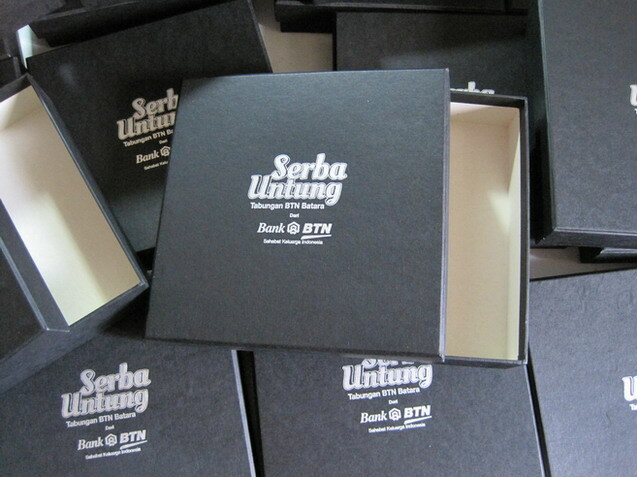 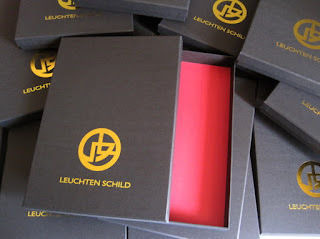 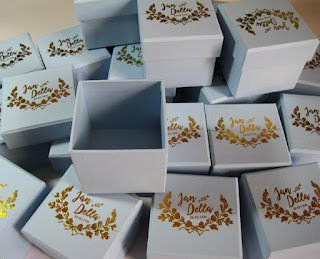 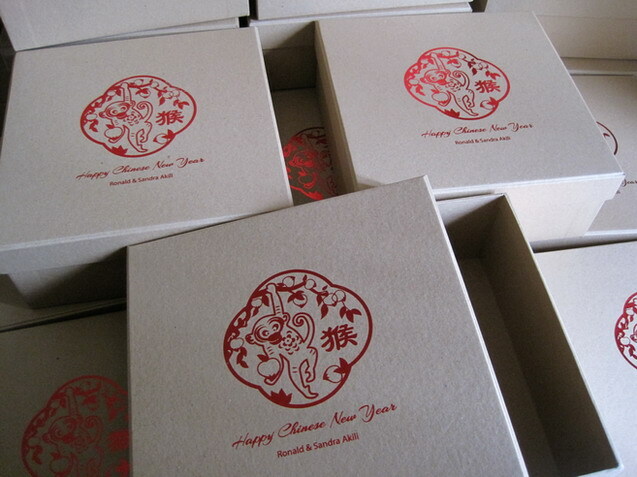 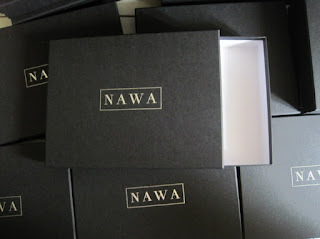 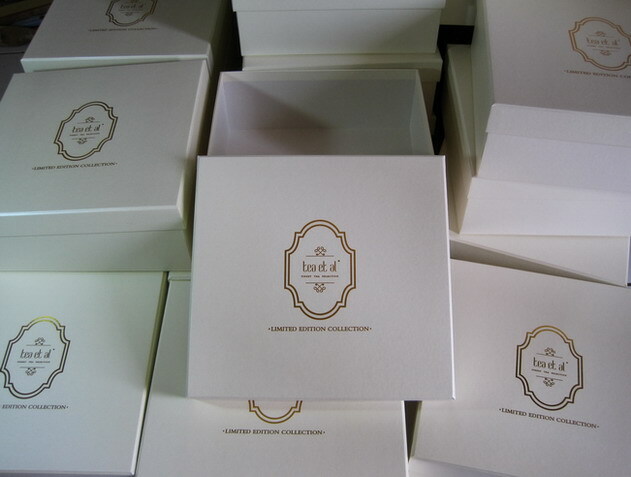 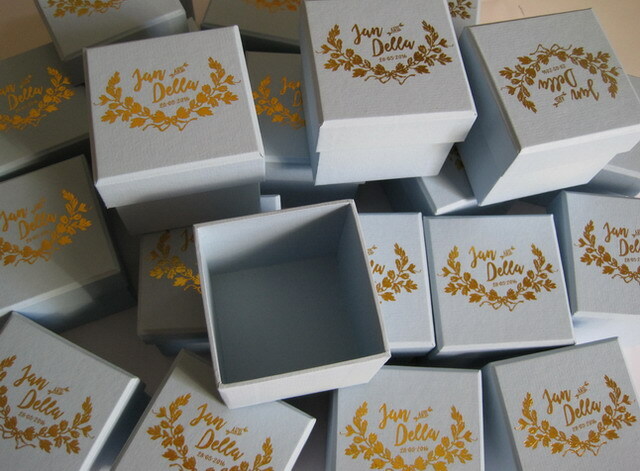 Logo were hotprinted on the lid selected bright gold foil. 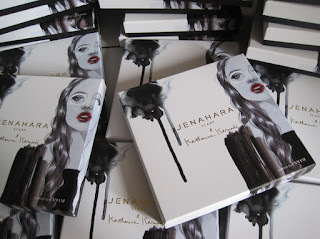 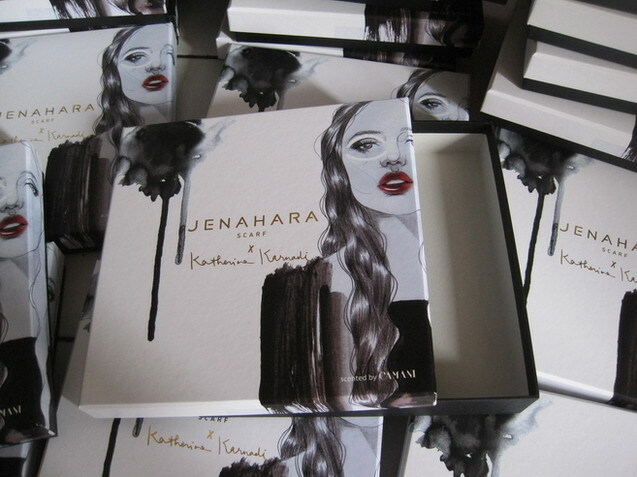 These Creamy and Black boxes are different and unique. 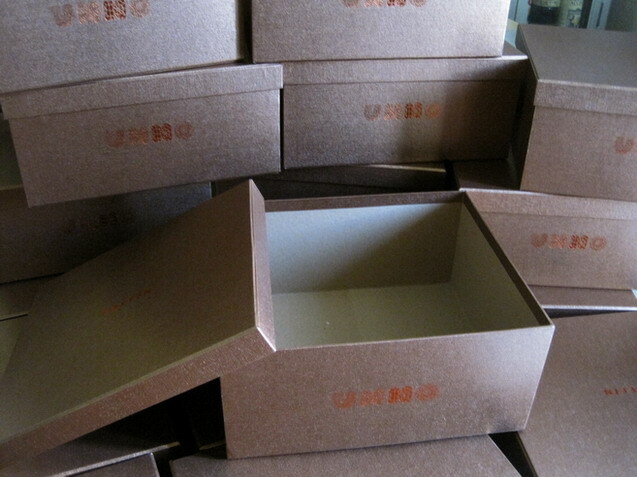 on the lid of each box. 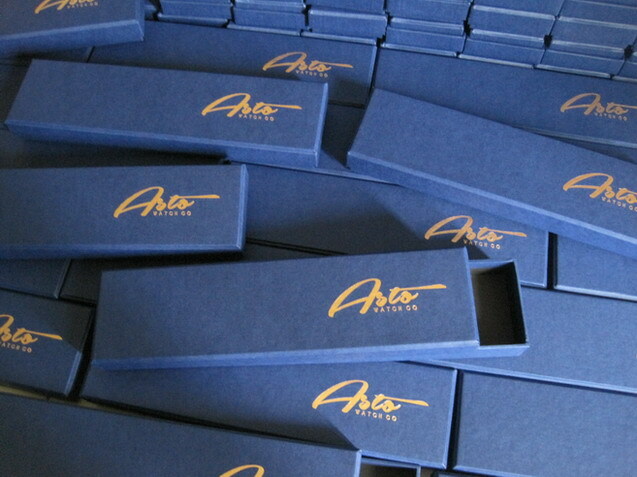 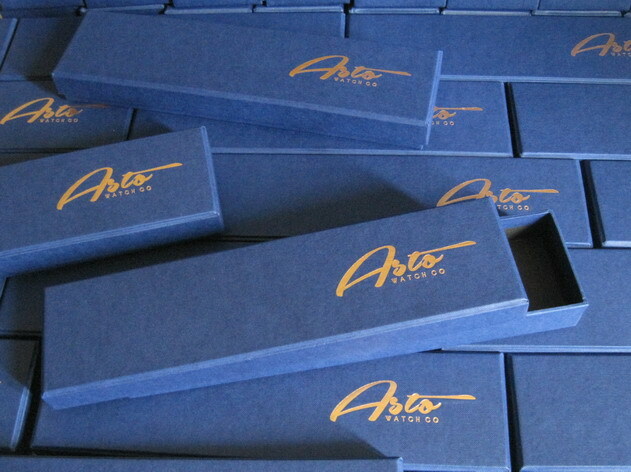 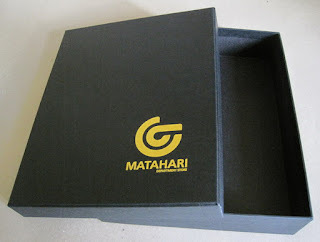 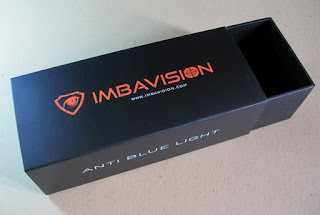 laminated matte color - very suitable as a packaging for modern glasses. 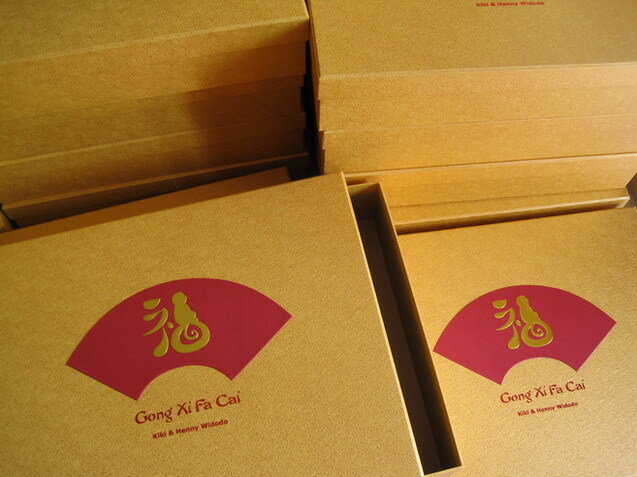 golden monkey with emboss technique. logo printed on the lid using hotprint with gold foil. 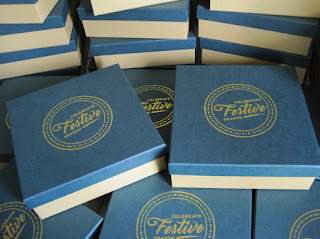 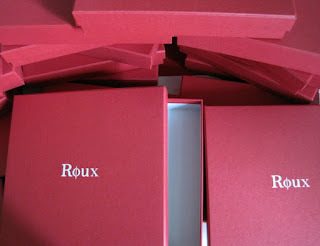 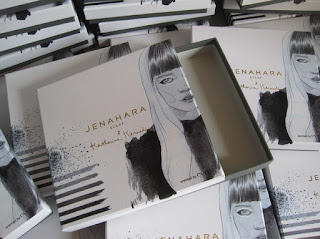 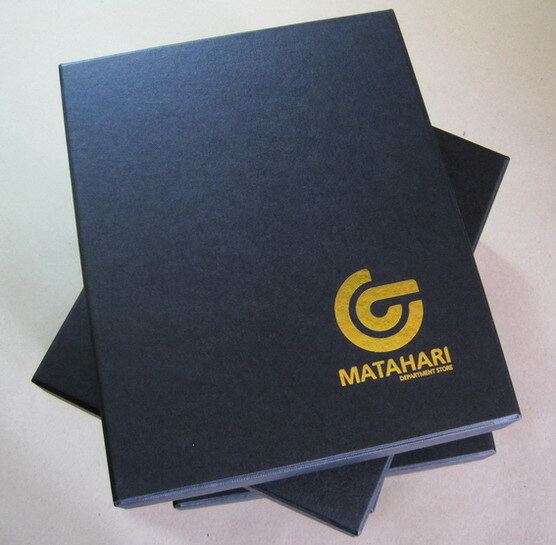 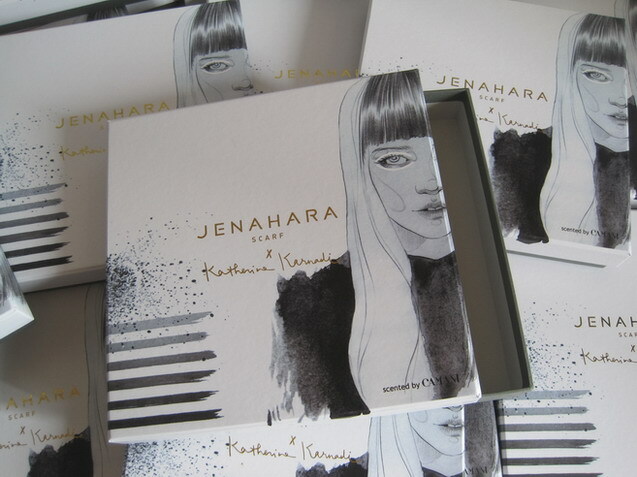 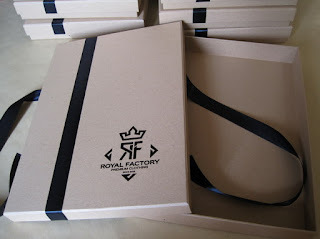 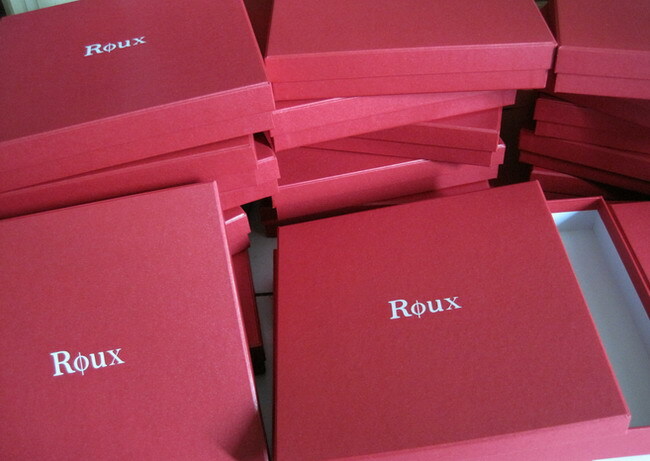 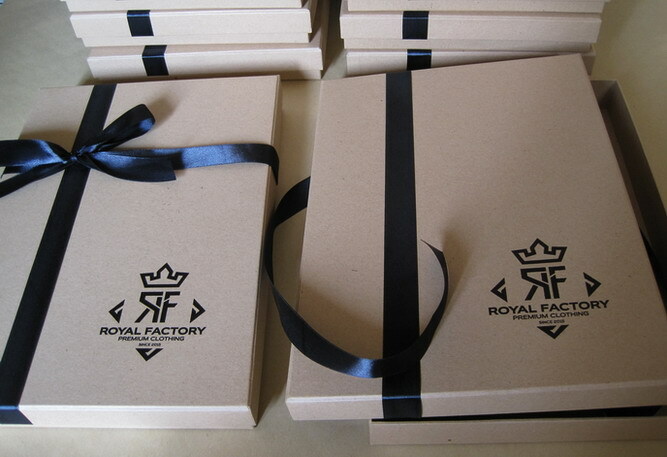 Lined with selected fancy paper with light color paper inside. 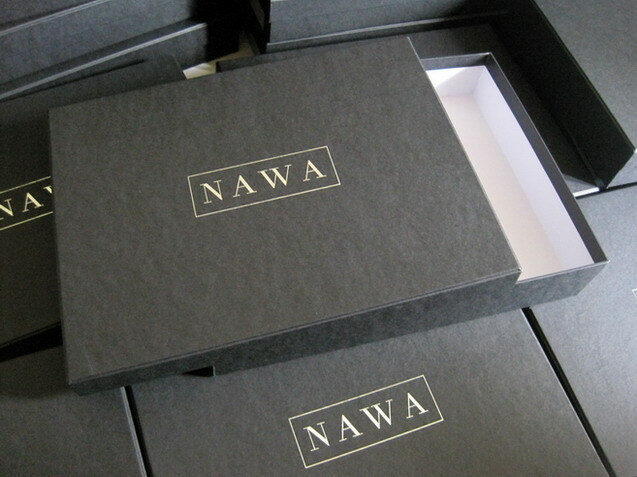 logo with black foil hotprint and decorated with black ribbon. Designed to fit one piece of bracelet that made of precious stones. thick sponge and white satin. 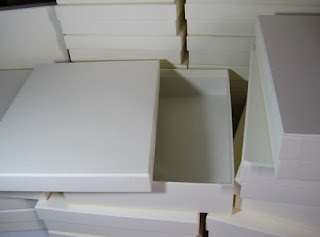 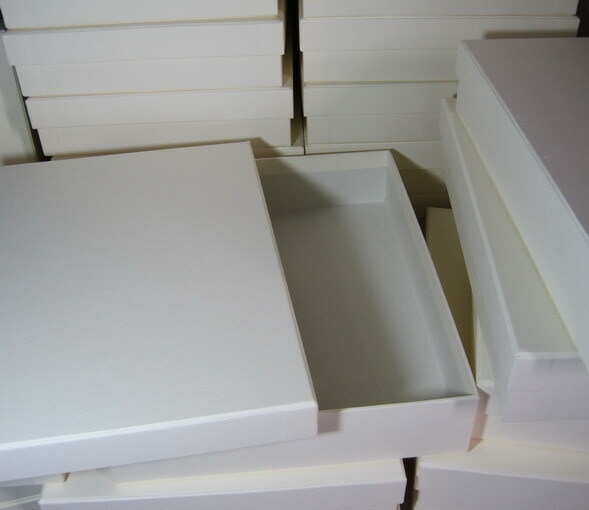 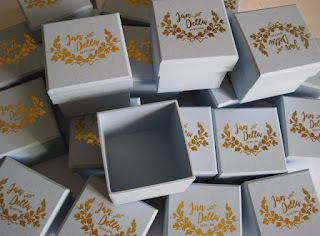 These florist boxes are simple, sturdy but beautiful. 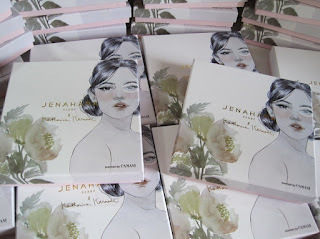 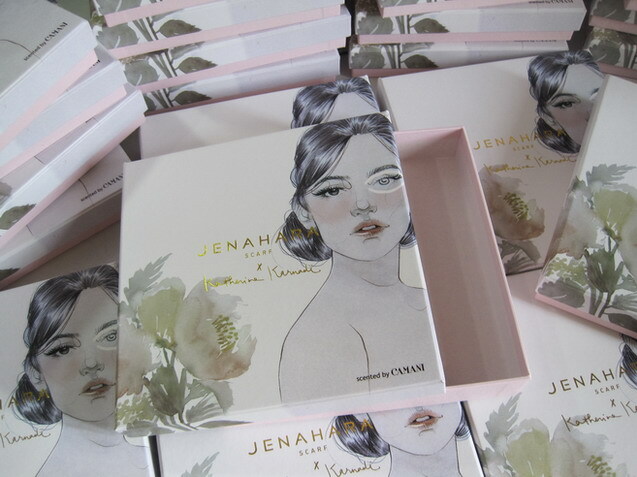 Lined with soft color fancy paper.